Single enrollment for all three sessions - March 30, April 6 and April 13. Class starts 12pm Eastern Time, online at Lessonface. A traditional master class format, with an online twist to it. Meet Hadar and the class live in the Lessonface online classroom and learn by performing and receiving feedback directly from Hadar, and by watching your peers do the same. Also have your questions ready for the Q&A session in the end of each session. Sign up as a performer (seats limited!) 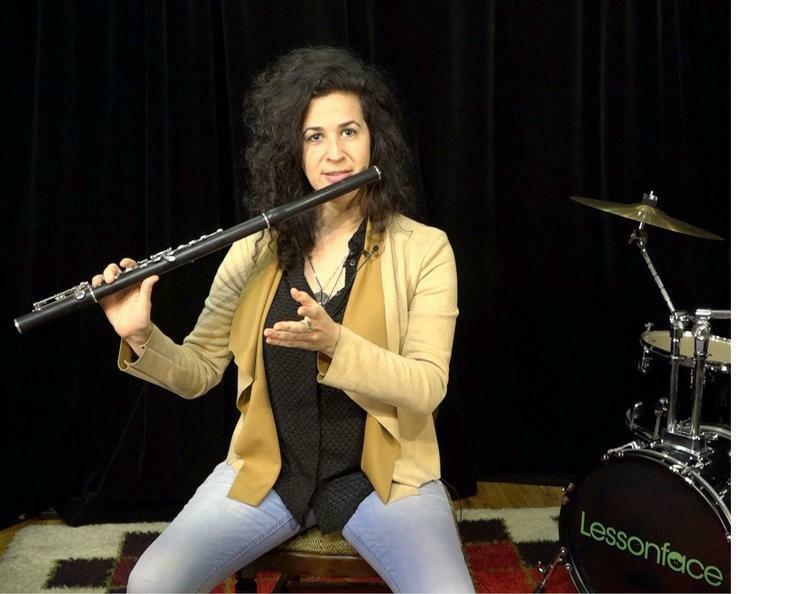 or as an auditor in the Hadar Noiberg Online Flute Master Class. More information in the column to the right. Sign up once for all three sessions! No performer seats left, join as auditor to watch the live class and participate on Q&A. All enrolled students get lifetime access to recorded sessions. Choose if signing up as a performer or auditor. If signing up as a performer, choose the day you'd like to perform to Hadar. All enrollments cover auditing all three classes. Enrollment fee covers all three sessions. Students that sign up for a performer seat are able to play and get feedback from Hadar (in a single slot), and are able to join all sessions as auditors and participate in Q&A. One additional performer slot per student can be purchased. Students that sign up for auditor seats can watch all sessions and participate in Q&A. Each session is 90 minutes long, comprised of three 25-minute player slot and 15 minutes of open Q&A. Classes will take place online on Lessonface’s high performing video conference platform. Students will receive access to the recording of the class afterward. The Online Master Class with Hadar Noiberg will happen on Saturdays, March 30, April 6 and April 13, at 12pm EDT. All attendees will receive lifetime access to view the recording of the live online class. Get access to the recordings from previous classes with Hadar on this page as well by clicking the dropdown menu.